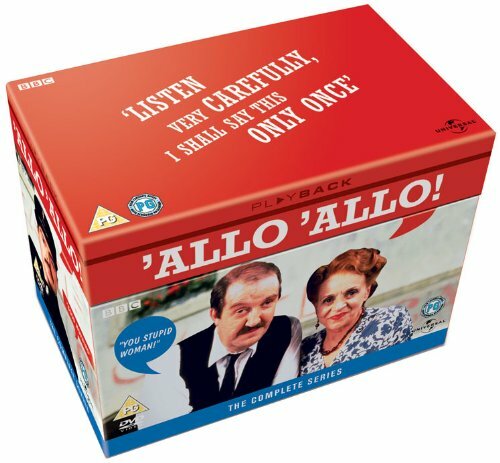 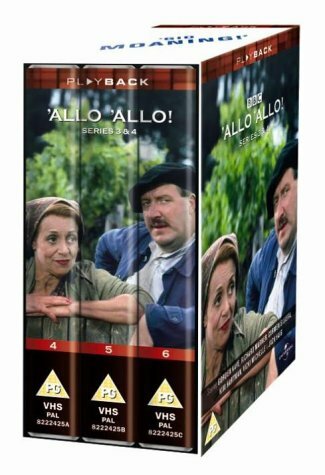 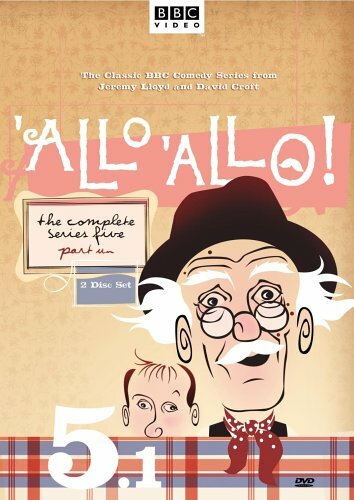 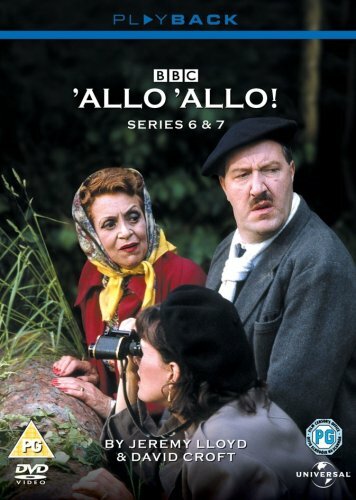 David Croft and Jeremy Lloyd's sitcom 'Allo 'Allo started life in 1982 as a modest one-off spoof of the classic 1970s drama series Secret Army, A throwback to an earlier era dur..
David Croft and Jeremy Lloyd's sitcom 'Allo 'Allo started life in 1982 as a modest one-off spoof of the classic 1970s drama series Secret Army, A throwback to an earlier era during..
'Allo, 'Allo! 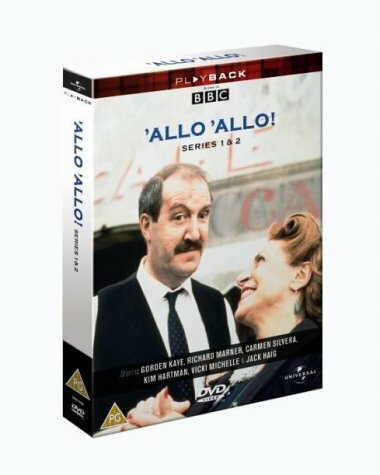 was a wildly popular British sitcom making unlikely humour of the German occupation of France, succeeding because of its sheer lunacy, and the amiable performance of ..
'Allo, 'Allo! 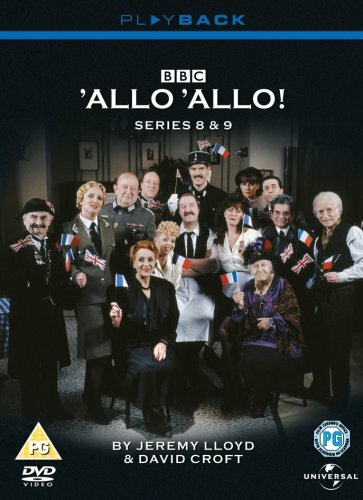 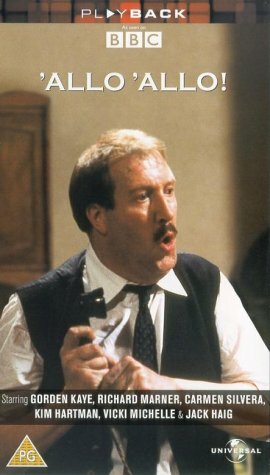 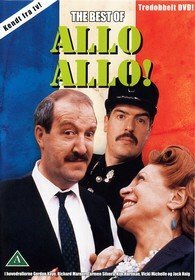 was a wildly popular British sitcom making unlikely humor of the German occupation of France, succeeding because of its sheer lunacy, and the amiable performance of v..
By the time these final two series of ’Allo ‘Allo came around, even the most ardent fan of the show would have to concede that it had had its day, Many of the original cast had.. 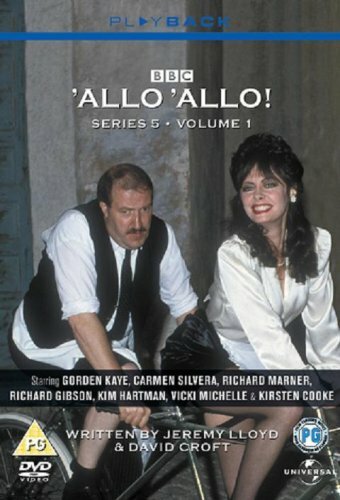 Originally screened between 1989 and 1991, the sixth and seventh seasons of ’Allo ‘Allo find the show confident, established and still with plenty of jokes to tell, There ar..